Sockdolager – something that settles a matter; a decisive, heavy or knock-down blow, answer or remark; finisher; something outstanding or exceptional. Apologies for the late post – I’m having one of those fortnights this week. Thursday’s questions were posed and answered by Alwyn and Andrei. The electronic chocolate cake which was on offer for anyone who stumped us all will be stored for future use. One of lots of smile and thought provoking mini stories in his new book Theories of Everything. You can sign up here for a story of the day which brings one of his whimsical stories to your in box overnight meaning there’s something to make you smile when you first check your messages. Chinese interest in investing in Fonterra’s Cooperative Group’s shareholder fund was predictable once the scheme was approved and underlines the need for constitutional protections for the Trading Among Farmers scheme, says the main farm lobby group. China’s sovereign wealth fund, the US$400 billion China Investment Corp, is in talks to buy units in the $525 million fund with an investment smaller than US$100 million, the Wall Street Journal reported yesterday, citing people with direct knowledge of the plans. The Fonterra Shareholders’ Fund aims to raise as much as $525 million selling shares in an indicative price range of $4.60 to $5.50 apiece, giving outside investors exposure to up to 7 percent of the dairy cooperative’s equity. The final price will be set by a bookbuild among institutions and NZX firms on about Nov. 27. . .
New Zealand’s plantation forestry estate represents a major opportunity for New Zealand to become more self-sufficient in transport fuels, says the latest report from the Pure Advantage business lobby group seeking support for a “green growth” push in New Zealand. However, a “crisis of faith” in the forestry industry could stymie the newly emerging potential of forestry – a sector that has long confounded attempts to add value beyond the export of raw logs, mainly to Asian markets. Pure Advantage trust chairman Rob Morrison told BusinessDesk the fragile state of the forestry industry is a major issue for realising the largest economic opportunity identified by a study conducted by London economic consultancy Vivid Economics and the Business School at the University of Auckland. . .
Icebreaker, the iconic merino clothing brand, will launch an online store in New Zealand today, at icebreaker.com– in time for Christmas shopping. “It’s no secret that online shopping is the fastest growing channel in retail today, with clothing showing some of the highest growth,” says Jeremy Moon, Icebreaker CEO and founder. “We’re a multi-channel business, and our new eCommerce site in New Zealand will complement our presence in retailers throughout the country and in our Icebreaker TouchLab retail stores in Wellington and Auckland. Our customers are increasingly demanding choice – they want to be able to choose to shop either directly from a brand, or from a retailer with a wide variety of brands.” . 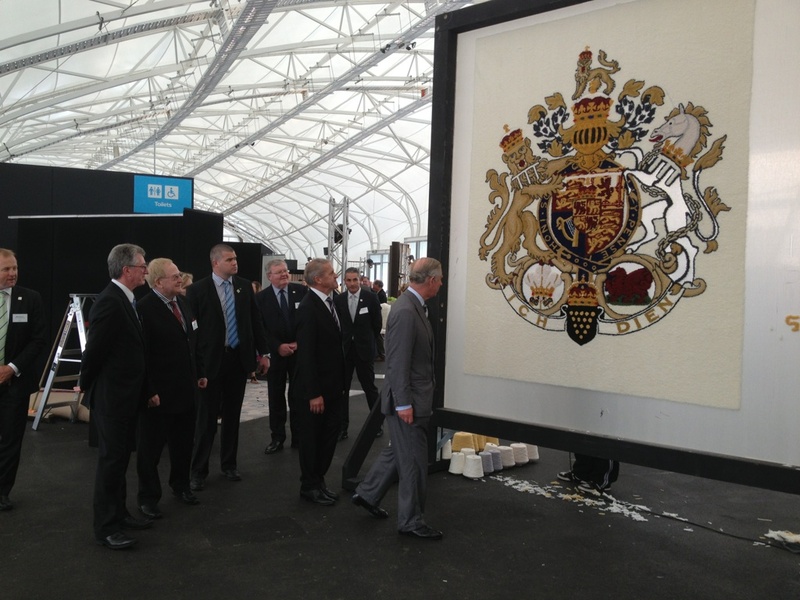 . .
New Zealand Wool Services International is pleased to make available the attached photographs of the Prince of Wales inspecting a unique six square metre Glacial wool rug bearing his coat of arms during his visit to the New Zealand Shear Brilliance wool exhibition at The Could in Auckland on 12 November. 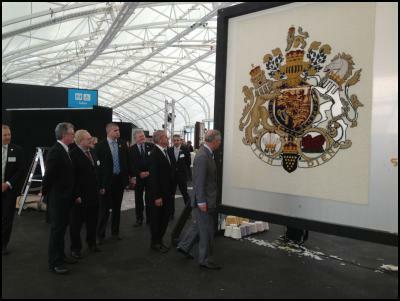 The rug has been commissioned by New Zealand Wool Services International to honour the Prince and recognise his role as a champion and patron of the global Campaign for Wool. Raise the age of Super to 67 – except for Maori! That all single benefits be increased by $50 a week!!! That any NGO receiving even minimal government funding be required to have a 50% gender quota on its governing board! These aren’t just wacky ideas by an errant member, most have been passed by a regional conference and some have been endorsed by the party’s NZ council. Passing any or all of these would be a superb diversionary tactic. If they became policy in a labour-led government they’d carry on diverting the country away from the direction it needs to go. Oh dear, wherever Planet labour is, its inhabitants are several galaxies away from the sort of policies which will make New Zealand a healthier, better educated, wealthier and more secure country. Fifty-nine-year-old Xi is the son of reformist former vice premier Xi Zhongxun, and therefore branded a “princeling”, one of the privileged sons and daughters of China’s incumbent, retired or late leaders. He watched his father purged from power before the 1966-76 Cultural Revolution, and Xi himself spent years during the chaos in the hard-scrabble countryside before scrambling to university and then power. Xi had crafted a low-key style and wears a cautious public mask almost uniform to China’s Communist Party leadership. The Party’s careful control of information about Xi means that even Chinese who follow politics closely know next to nothing about his opinions, or what kind of a leader he might be. A native of the poor, inland province of Shaanxi, Xi Jinping studied chemical engineering at Tsinghua University in Beijing, an elite school where Hu also studied. Xi later gained a doctorate in Marxist theory from Tsinghua. . .
China’s new president isn’t facing the same tough decisions which newly re-elected President Barack Obama faces in the USA but China’s growth is slowing. The new president could well face tougher challenges in the next decade than his predecessor did in the past one. You are currently browsing the Homepaddock blog archives for the day Friday, November 16th, 2012.